The Juice Plus Europe Company hasn't added a story. Attika Human Support was created in 2015 in Lesvos, Greece by Aris Vlachopoulos. Attika is a charitable organisation which helps thousands of asylum seekers arriving to the island of Lesvos in Greece every single day. Lesvos is at the forefront of the global migration crisis with over 8000 people at the camp and over 6500 people in neighbouring camps in Samos and Chios. Attika has become known worldwide for its openhearted response to refugees. Attika do an incredible job of collecting and supplying essential items for the refugees such as food and clothes. Every day, volunteers in the camp help to prepare packages for the refugees, visit new born children and their moms in the local hospital and bring some joy and love to all those who reside in these over packed camps. The Juice Plus+ Company are pledging to help Attika on their mission to help these refugees. You can support them through a donation today. We need your help to step up as a community and support Aris and his team in their mission to support refugees. Join us and donate today! The Juice Plus Europe Company hasn't posted any updates yet. 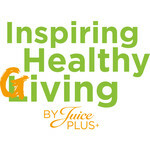 The Juice Plus Europe Company is managing the funds for this campaign.